Western Michigan University appears in our ranking of the 10 Best ABA Master’s Degree Programs in the West. Applied behavior analysis programs at Western Michigan University are available at the undergraduate, graduate, and doctoral levels and are offered by the Department of Psychology. Degrees in psychology at the university are offered on campus. At the undergraduate level, students may choose a general psychology track or one in behavioral science. Students who want to continue into graduate school after earning a bachelor’s degree are encouraged to consider the behavioral science major at Western Michigan University. Students will focus on learning how to interpret results and understand the standards of evidence, as well as how to observe and experiment to test hypotheses. Classes a student may take in the behavioral science track include Abnormal Psychology, Forensic Psychology, Behaviorism and Psychology, and Applied Behavior Analysis in Autism. At the graduate level, students have three programs available including one in Behavior Analysis. Some of the settings where graduates may find work after receiving a graduate degree include those at academic institutions, research departments, mental health services, and human resources. One of the interesting facets of the graduate program in psychology at Western Michigan University is that simply completing all required courses isn’t an automatic ticket to a degree. Students must prove mastery of all topics discussed in classes through practical opportunities in various clinical and educational facilities. The Association for Behavior Analysis International has accredited the graduate program in Behavioral Analysis. Students who want to enroll in the Master of Arts in Behavior Analysis program should have an undergraduate degree in psychology. Successful applicants will also have at least eight hours in applied behavior analysis and experimental psychology which may include field experience and time spent in the laboratory. Students must also take a class in statistics as a prerequisite for admission. Courses a student may take include Research Methods in Behavior Analysis, Behavioral Interventions, and Skinner’s Behaviorism. Students will need to complete a Master’s Thesis or Master’s Project at the conclusion of study to receive their degree. The highest level of education available to students of psychology at Western Michigan University is the Doctor of Philosophy in Behavior Analysis. To apply to the program, students must have already completed at least 78 semester hours with a minimum grade of B earned in each course. During the program, students must complete at least 30 hours of coursework and 12 hours of dissertation credits. Students who complete their degree will find work in one of three roles that include teaching at a university, professional work in business, or systems-oriented applied jobs in human services. The doctoral program is not accredited by the American Psychological Association, but students can work toward licensure by making sure their coursework aligns with the APA’s recommendations and by participating in an internship. Located in Kalamazoo, Michigan, Western Michigan University is a public university that was founded in 1903. The university boasts one of the most well-regarded aviation programs in the United States and is also home to the yearly International Congress on Medieval Studies. The urban campus is home to more than 23,000 students with most of those students enrolled as undergraduates. The school’s official colors are gold and brown, and the sports teams that play in NCAA Division I games do so as the Broncos. Buster Bronco is the school’s mascot. 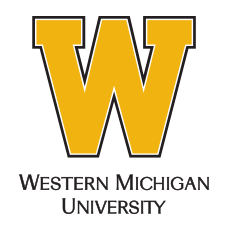 When it was founded at the dawn of the 20th century, Western Michigan University was the fourth college established for the purpose of training future teachers. The university’s first name was the Western State Teachers College. Western Michigan University was first accredited by the Higher Learning Commission in 1915. The university also holds several programmatic accreditations, which are applied to specific degrees, departments, or schools within the university. Some of the organizations that accredit programs at the university include the Council on Social Work Education, the Aviation Accreditation Board International, the National Council for Accreditation of Teacher Education, and the American Occupational Therapy Association. The Ph.D. in Counseling Psychology is accredited by the American Psychological Association (APA). The Council for Accreditation of Counseling and Related Educational Programs has accredited the graduate programs in Counselor Education and the Ph.D. in Counselor Education. Admission to Western Michigan University as an undergraduate student requires that students complete and submit the official application and the application fee. Future graduate students at Western Michigan University must submit the official application, as well as specific application requirements for the program they wish to enter. Items required may include a written narrative statement, various supporting materials, letters of recommendation, and standardized tests. Conveniently, the university allows students to complete their entire application online. For students interested in the graduate programs in psychology, students should have an undergraduate major that includes at least 18 hours earned in psychology classes. Applicants must have a GPA of 3.0 on a 4.0 scale and a minimum score that corresponds to the 50th percentile or higher on the quantitative and verbal portions of the GRE. Undergraduate tuition for lower division classes at Western Michigan University for Michigan residents is $12,483 and tuition for non-residents is $15,373. Students who decide to live on campus will pay $9,894 for room and board which includes a double room and a 15-meal weekly plan. Students will also need to pay for other costs like personal expenses, books, and supplies. Tuition for upper-division courses is $14,608 for Michigan residents and $16,875.50 for non-Michigan residents. Tuition for some programs may include extra fees or costs. For example, students enrolled in a program within the College of Engineering and Applied Sciences may pay a different rate than students enrolled in a program at the Haworth College of Business. There are many options for aid at Western Michigan University that may come in the form of federal student loans, grants, and private student loans. Students may also qualify for a variety of scholarships while attending Western Michigan University and should complete their FAFSA form as soon as possible. Almost 80 percent of students attending the university received financial aid in 2016, which is the latest year for which such statistics are available. Scholarships are available based on academic performance, financial need, and the promotion of multicultural awareness. Many scholarships are competitive and are available to first-time and returning students. Students at Western Michigan University who want to enroll in an Applied Behavior Analysis program in psychology will want to take a look at the Bronco Gold Mine, which is the university’s repository for academic scholarships.